This NEW super cute Soft Play Package is ready to go for your next event! 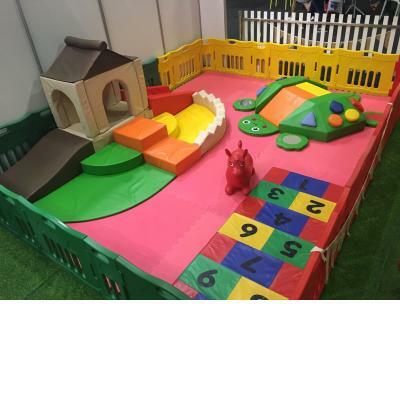 Comes complete with a colourful playpen to keep your little guests contained and safe while the cubby house, giant turtle, hopscotch rug and bop along animal provide hours of amusement! The cubby house even has some ball pit balls (in the yellow section) for extra fun! Please note price is for daily hire. Soft Play Party Equipment is perfect for 1st Birthdays and toddler birthday parties, Christenings, weddings, playgroups, corporate family fun days, markets, fetes and more!